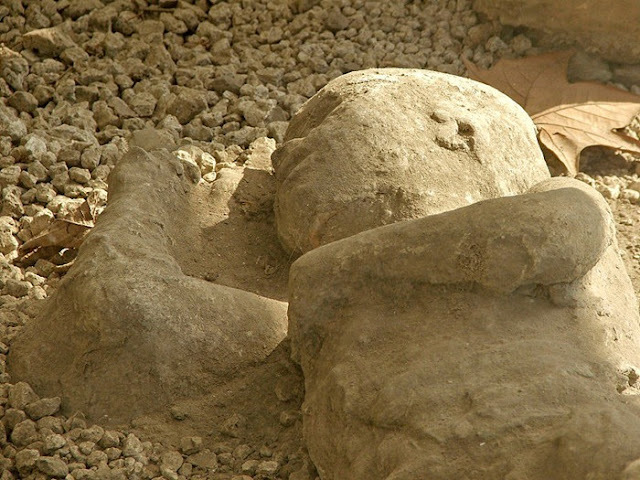 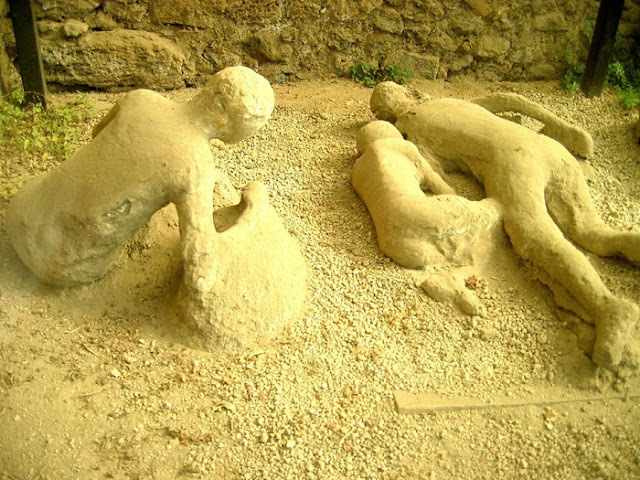 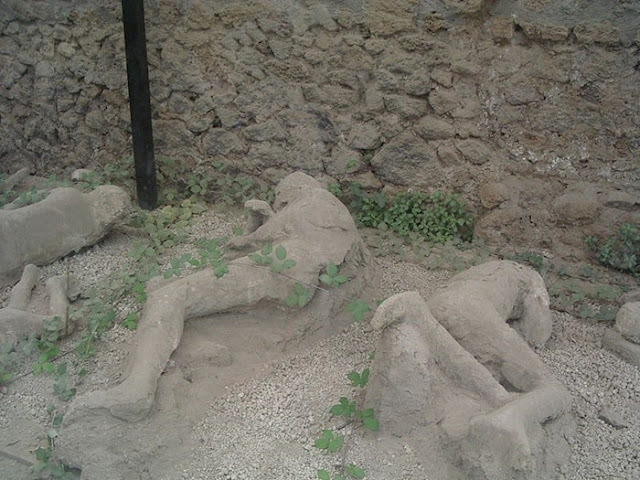 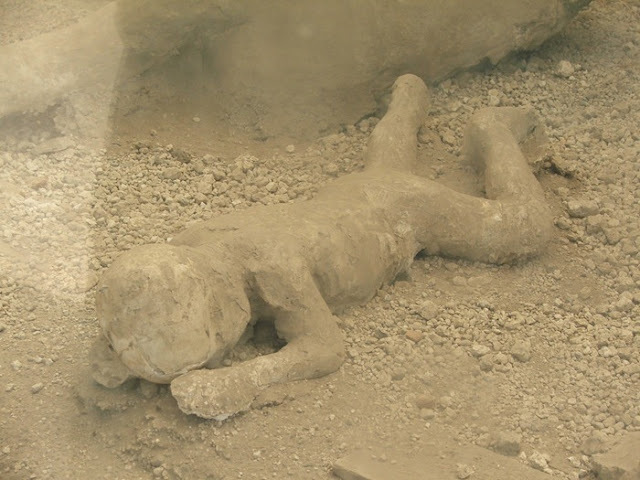 Centuries later when Pompeii was excavated diggers uncovered decomposed bodies of countless victims. 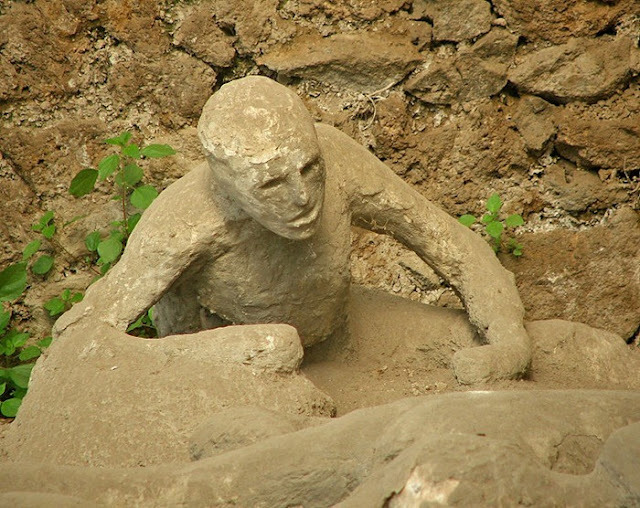 In one place, plaster was poured into the spaces left by decomposed bodies and when the dirt was removed after the plaster had hardened, thirteen adults and children were found huddled together, making futile attempts to shield themselves from the onslaught of volcanic dust, pumice, stone, and ash. 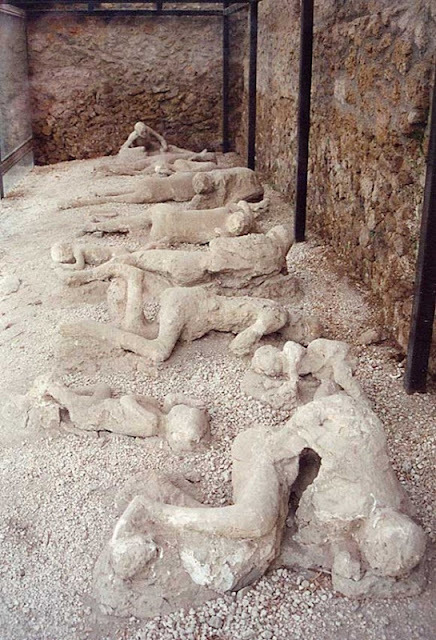 This place, where once stood an ancient orchard, came to be known as the “Garden of the Fugitives” and it offers visitors a frozen glimpse of Pompeii's appalling last hours. 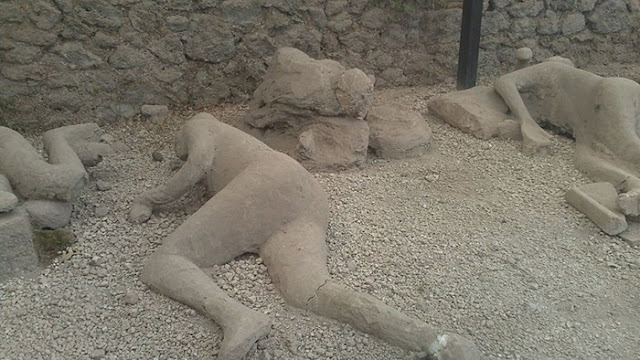 The thirteen bodies were of people who were trying to flee the deadly volcanic dust and rocks, which gave the garden its name. 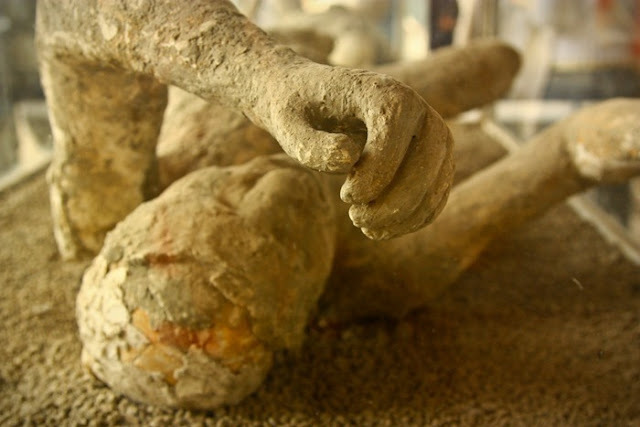 A large number of artifacts and casts from Pompeii are also preserved in the Naples National Archaeological Museum.